As an experienced Total Immersion coach I have learned from great coaches like Terry that the quality of your movement dictates your outcome. 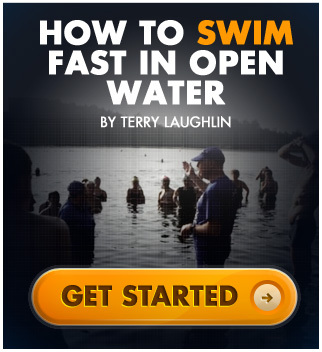 I have helped hundreds of people seek a deeper, richer experience when swimming and through this experience have developed a paradigm of training that will transform your body effortlessly. “No Pain, No Gain” is old school. We’re finding now that truly great athletic achievement comes through flow states and Zen experiences, so I have developed a model of exercise that teaches you how to reach these states effortlessly each time you exercise. Come explore this fascinating world of movement and unlock the potential you have within – effortlessly! Wouldn’t it be fantastic if you felt great every time you exercised – every step of the way? What if you could consistently experience the bliss of the runner’s high or the flow of a perfect swim stoke and benefit from all the positive health benefits of exercise without any of the downside of pain and injury. Imagine what your life would look like if it became effortless to maintain your ideal weight, play with your kids, climb a mountain or participate in a triathlon on any given day, at any given age. If you answered a resounding “Yes!” then effortless exercise is for you. Whether you’re a beginner or wanting to win an Ironman triathlon, the principles in this book apply to anyone seeking a deeper experience of exercise. Come on a journey into the Zen state of exercise that will transform your training and help you to achieve more with less. The ideas in this book will help you to go within for a deeper, richer experience that creates sustainable fitness and peak athletic performances through meditative flow states. Fundamentally you’ll discover the pleasure of exercise and be drawn to move every day because it feels so good to exercise this way. "Why is TI Coach Shinji Takeuchi now second only to Michael Phelps in popularity among swimmers worldwide - at least as measured by number of views of his youtube demonstration of TI Swimming? How is it that a 43-year old who only began swimming-to-improve six years ago, someone who is raising two children and running four companies, is fast closing on the most-decorated swimmer in Olympic history? Michael Phelps does swimming as Sport. Shinji practices swimming as Art. When people see Swimming as Art, they instantly recognize they're seeing something rare and inspiring. And that is why anyone who is not an OIympic athlete, but is interested in health and happiness, should read Grant Molyneux's book "Effortless Exercise." While I've swum competitively for 45 years, it's only in the past 10 years, since turning 50, that I've developed a life-changing unquenchable passion that has come from recognizing swimming as the ideal vehicle for transforming exercise into art and work into play. What's the difference? People at health clubs who watch TV or read magazines while on the elliptical trainer or treadmill are doing exercise. Shinji, myself and thousands of TI Swimmers who mindfully pursue improvement and flow states with purposeful practice are practicing a movement art. Both groups receive health benefits. But TI Swimmers understand they've begun, not just swimming, but living with a sense of mastery, purpose and happiness. In its early years TI devoted itself to teaching more efficient strokes. When countless people told us "Your method changed my life" we realized we had inadvertently stumbled on a secret for transformation. Ever since our focus has been just as much to persuade swimmers to transform exercise into art. Effortless Exercise is a guide to doing so in the pool, in the gym on the road and in life."